The Talmud introduces a specific logical hermeneutics, completely different from the Ancient Greek logic. This hermeneutics first appeared within the Babylonian legal tradition established by the Sumerians and Akkadians to interpret the first legal codes in the world and to deduce trial decisions from the codes by logical inference rules. The purpose of this book is (i) to examine the Talmudic hermeneutics from the point of view of its meaning for contemporary philosophy and logic as well as (ii) to evaluate the genesis of Talmudic hermeneutics which began with the Sumerian/Akkadian legal tradition. The logical hermeneutics of the Talmud is a part of the Oral Torah that was well expressed by the Tannaim, the first Judaic commentators of the Bible, for inferring Judaic laws from the Holy Book. 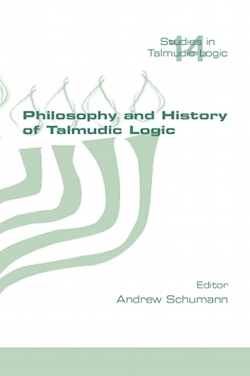 The authors who have contributed to this volume were asked, first of all, to consider the Talmudic hermeneutics from the standpoint of modern philosophy: symbolic logic, rhetoric, analytic philosophy, pragmatics and so on. On the one hand, the authors are interested in possibilities to import some modern philosophical and logical methods into the Talmudic study, and on the other, are interested in possibilities to export new logical principles from the Talmud which are innovative to contemporary philosophy and logic.